This touring ‘Angel’ clock was built as part of the Channel 4 ‘Machinations’ series. 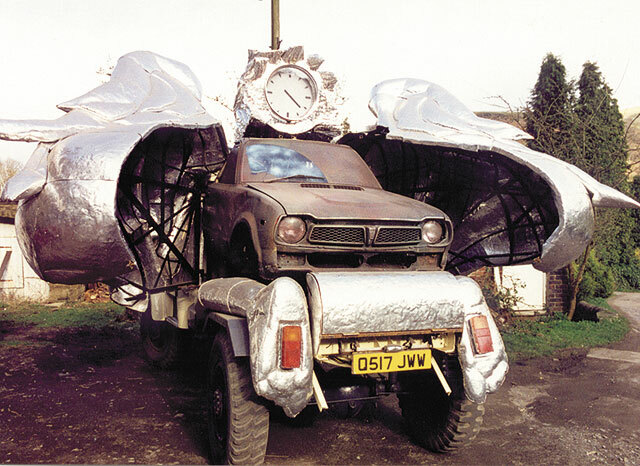 The clock was inspired by the Guinness Mobile Clocks of the 1950’s and 60’s which toured around Britain. 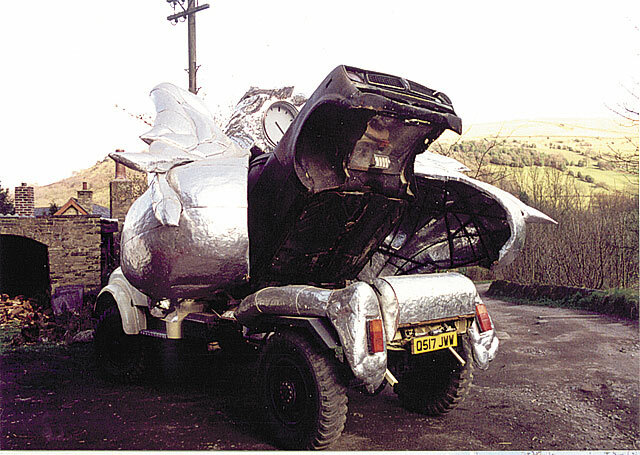 The aluminium Angel opens to the sound of a mechanical drum machine. 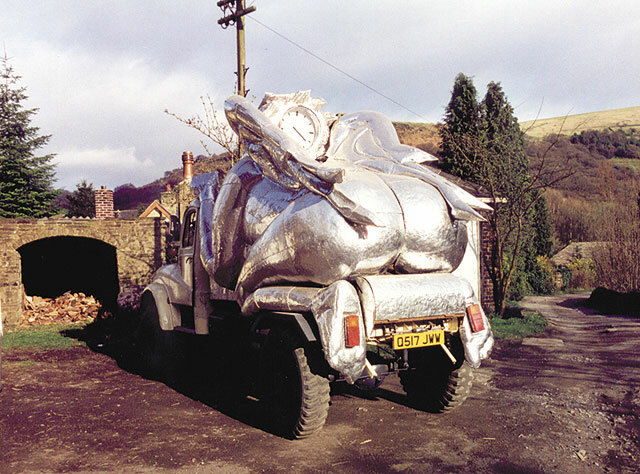 Inside there is a car which, once the angel has opened, swings upwards to form a juke box with mirror balls and kitch lighting. 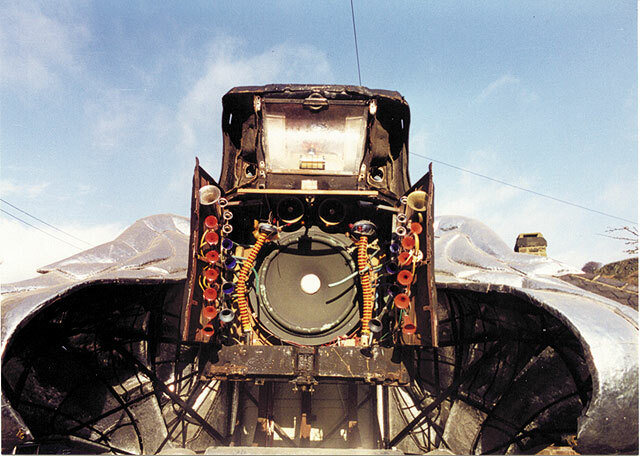 The car opens to a fanfare of horns and dancing electronics. Commissioned by Channel 4 in 1994.